and compassion of Christ’s atonement and His promise of Eternal Life. 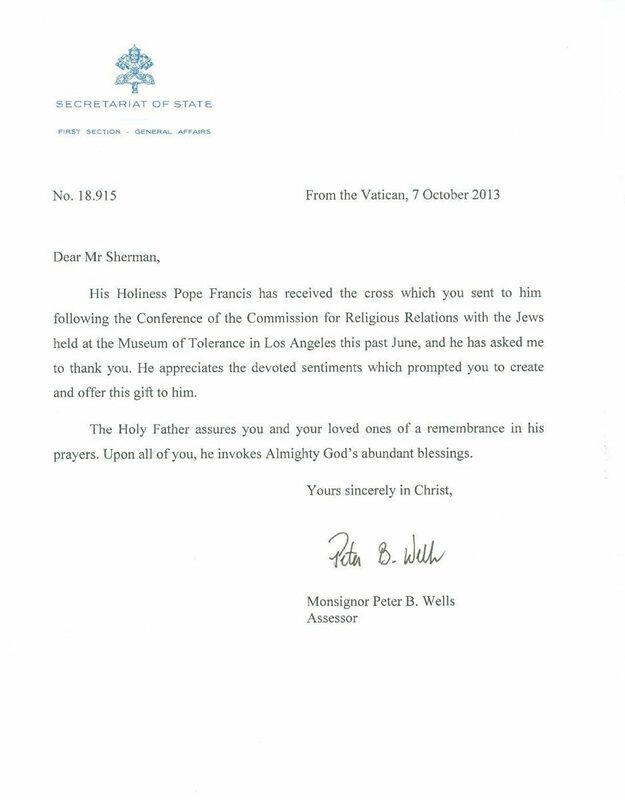 Pope Francis has acknowledged the unique commemorative Trinity Cross that designer Charles Sherman created especially for him. A copy of the Vatican letter comes with every order. Learn more about designer Charles Sherman here.